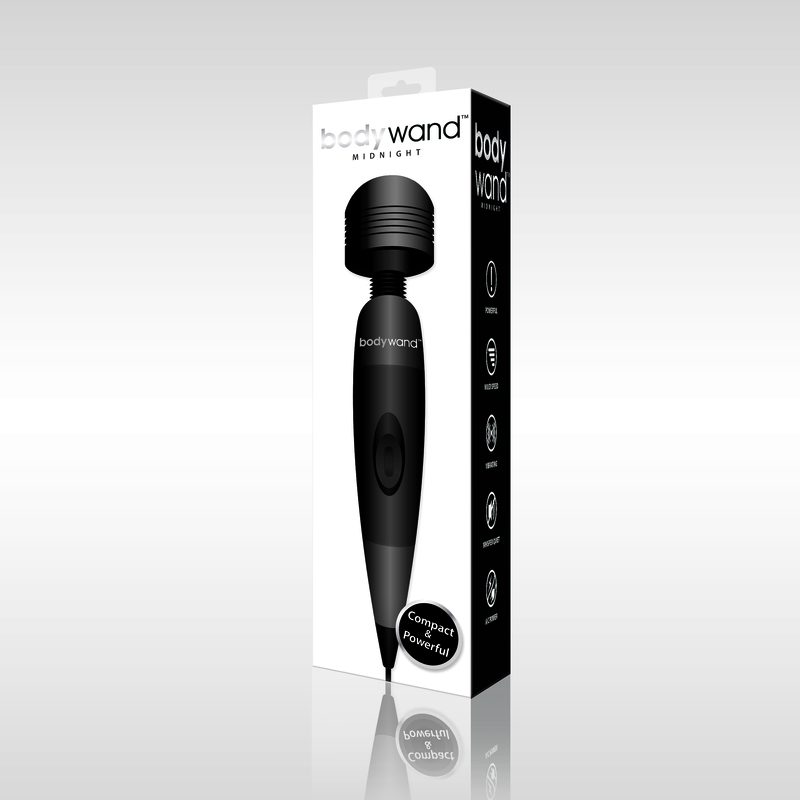 Bodywand Plug In Midnight Massager. From its dark blue color to the rounded, soft touch head, the Bodywand Original massager is engineered with a distinctly feminine feel. A simple ergonomic one finger control dial lets you adjust the A/C power output from a flutter to a freight train, though the wand never sounds louder than an easy hum. The flexible neck reaches all angles and can be fitted with an range of attachments to create a palette of sensual delights. 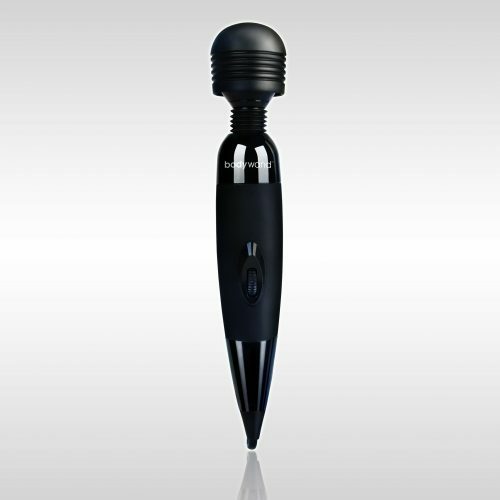 Features: one touch operation. Control dial for infinite speeds. A/C power – just plug it in and start enjoying. Comes with a one year manufacturer warranty. Bodywand personal massager for every part of your body. 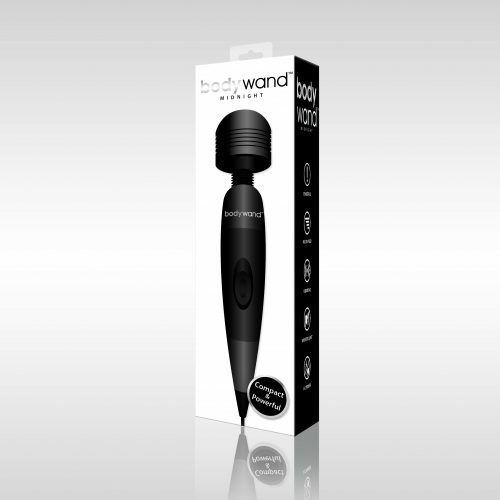 Bodywand is a registered trademark for X-Gen Products. Colors may vary.